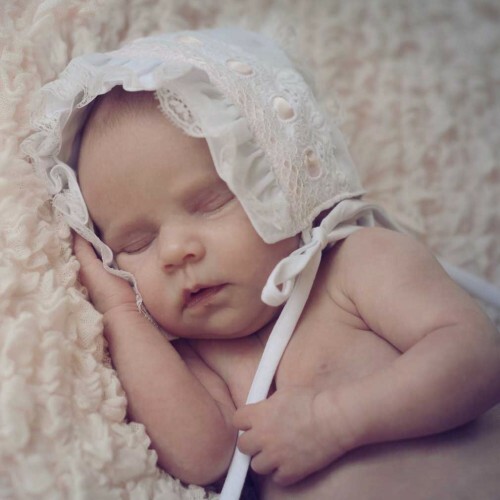 Exquisitely constructed, our classic white bonnet for girls is trimmed in white eyelet with pink satin ribbon beading. A pink satin ribbon on the back of the crown adds a feminine touch. Ties closed to keep bonnet in place.